Complete the Trail this MLK Day. On Monday, January 17th, join volunteers from Philadelphia and Montgomery Counties on the Schuylkill River Trail — your work will help complete the trail and connect the two counties. 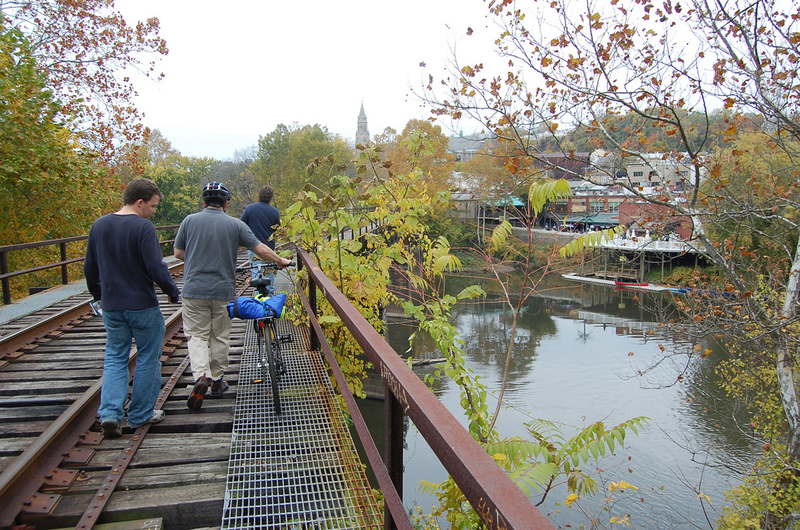 Meet by the Tow Path Bridge (behind the Manayunk Brewery) at 9:00 am and to work on removing brush, vines and debris from the waterfront area. Brian O’Neill, who is helping to build this part of the trail as he redevelops the old Connelly building as apartments, is providing dumpsters. The Pennsylvania Branch of the Great American Clean Up is providing refreshments (coffee, donuts and lunch), gloves and Port o Pots. Parking will be available by the Tow Path Bridge. People driving should enter the site through the Lower Merion School District Bus Depot at the end of Righters Ferry Road. Signs will be posted directing people to the work site. Call Chris Kingsley (610) 812-8931 with your questions. See you out there! Neighborhood Bike Works invites volunteers to join them on January 17th, 2011 to celebrate Martin Luther King with a day of service at any of their locations. North Philly: 1424 W. Susquehanna Ave. The day of service at Headquarters is cosponsored by REI and will begin at 9am and last until 12pm. There will be a second session from 12:30-3:30pm. Breakfast and Lunch will be provided at all locations! If you’d like to be a part of this year’s efforts, please send an email to volunteers@neighborhoodbikeworks.org with the location where you’d like to volunteer.